The Denali Princess Wilderness Lodge opens for the summer season on May 12 and is conveniently located less than a mile from the park entrance. While staying at the lodge, we recommend you let the front desk know whether you would like to be alerted with a call when the clouds clear above Mount McKinley, exposing its majestic peak as it towers at 20,322 feet and makes for the perfect backdrop to a day of exploring the park. With panoramic views of the park, the Mount Healy Overlook Trail is an excellent day hike choice for those with three to four hours and energy to spare. The 4.5-mile- roundtrip trail begins at the Denali Visitor Center. With 1,700 feet of elevation gain, tackling this trail isn’t for the faint of heart, but the sweeping views are worth the effort. Be sure to pack plenty of water, a change of clothes to keep you dry at the top and trail mix to sustain you for this hike. Between 7 a.m. and 7 p.m., the lodge offers an hourly shuttle service between the lodge and the Denali Visitor Center. Hop on the lodge’s shuttle to the visitor center where you can purchase a pass to ride the green National Park Service shuttle bus into the park. From the bus, disembark at any point along the road and explore the park at your leisure. When you’re ready to return, find your way back to the main road and the bus will pick you up from any spot along its route. The great thing about backpacking in Denali is that aside from the trail system centered around the visitor center the park is mostly trail-free. Think of it as a playground about the size of the state of Massachusetts for leisure hikers and experienced backpackers to explore for a day, night or even longer. 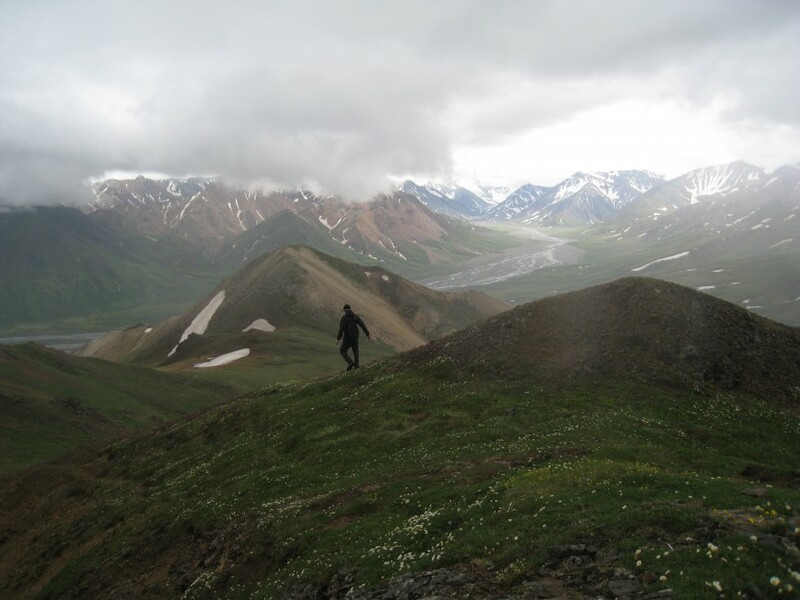 For more information on hiking in Denali and for access to helpful self-guided trail hikes click here.